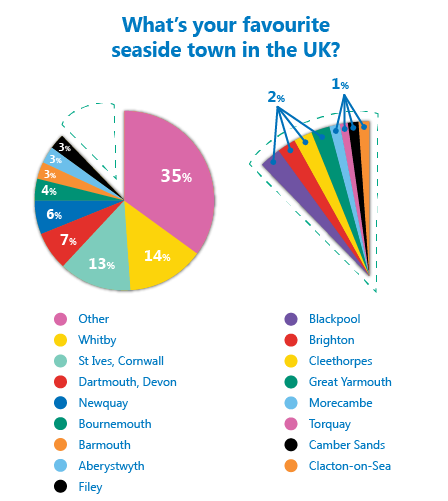 Latest poll results reveal your number 1 seaside town! Last month’s poll was one of our most popular ever! To get you thinking about your next summer staycation, we asked you to name your number 1 seaside town. Hundreds voted but with only 16 seaside towns to choose from, we weren’t surprised to see the majority of you go for the ‘other’ option. That’s right; a whopping 35% of you voted ‘other’ leaving towns such as Torquay, Filey, Brighton and Blackpool fighting for votes. Putting ‘other’ to one side, there was only 1% between the top two options. North Yorkshire’s much loved seaside town of Whitby managed to beat of the competition though with an impressive 14% of the final vote. Next, in second place, was one of Cornwall’s most picturesque spots, St Ives, receiving 13% of the vote. 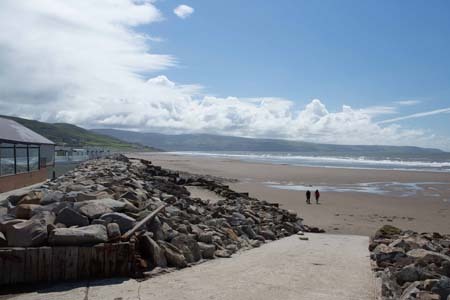 Darmouth, Newquay, Bournemouth and Barmouth round out the top six, while the bright lights of Blackpool, the sights and sounds of Brighton, and the sunny sands of Aberystwyth all appear in the top ten. Do you agree with the vote? Share your view using the comment box below. Wittering beach is my great escape! Shhhh! I don’t want anyone else to find it! Our favourite seaside town is Wells next the sea, Norfolk, its still a typical seaside town, not as spoilt, as some others, and very pretty.